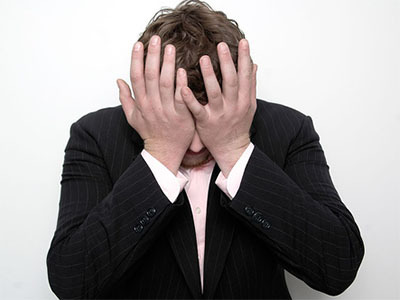 If you’ve been breathing the last 3 years, no doubt you’ve heard the term “short sale“. 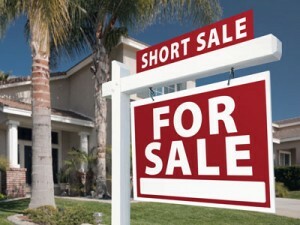 But what exactly is a short sale anyway? There are a lot of misconceptions. A short sale is a home that is being put on the market for less than (or “short” of) what the home owner actually owes the bank on the property. The bank is willing to negotiate this “short sale” usually because the homeowner is, or is about to, go into foreclosure due to some sort of hardship. By selling the property at a small loss (or sometimes a large one) the bank avoids the costs of foreclosing on the home, and the homeowner avoids the financial devastation of a foreclosure. Boy, I sure make that sound nice, don’t I? The truth is, short sales have many caveats and can be difficult to navigate if you aren’t informed! If you think you always want to be informed be sure to signup for my monthly-ish newsletter which I happen to feel is very informative, non-spammy, and short (not to mention pretty great) to receive more news, tips and information like this! Short Sales aren’t short at all for you. In fact, many short sales can very much be Long Sales! If the home only has one mortgage on it a short sale can close as quickly as 60 days (and pigs can fly when thrown from a plane too). And if there are multiple mortgages on the property that time can easily double or even quadruple (and that’s when everything goes right)! You are submitting an offer to the bank, not the homeowner. Its important that you have your financing very much in order. And don’t expect the bank to behave like a well-adjusted humanoid… because they won’t. If you have contingencies associated with your offer – like you need to sell your current home, or want to be moved in in time for your mother’s big birthday bash – a short sale is probably not for you. Understand that the bank doesn’t care if the sink faucet is dripping; nor are they going to fix it for you per your request in your offer. Short sales will typically be offered “as is” by the bank. A Short Sale can be a win-win proposition for you and your lender, but that doesn’t mean it will be easy or that you will avoid foreclosure or bankruptcy. And a short sale will negatively impact your credit; although much less so than a foreclosure or bankruptcy claim. Just because your home’s value is “underwater” doesn’t mean you can just short sell it. You are in a legal and binding contract to repay money that you have borrowed from your lender. Lender’s are willing to consider selling the property short of what’s owed on it because you have a genuine hardship and you are unlikely to be able to repay the loan. Job loss, divorce or death are examples of a hardship. Every bank is different. Just because your cousin Sally had a great experience with her lender doesn’t mean you will with yours! And for that matter, even if it is the same lender your milage may very! If a short sale is the best option for you, you absolutely need to qualified Realtor to represent you. And I’m not just saying that. You do. It will make the difference between successfully selling your home and having your home foreclosed on. Make sure you interview any potential Realtor about how many short sales they’ve successfully handled. Although short sales can be difficult they can be a great opportunity for buyers to find a good deal on a property. And they can successfully help sellers avoid the devastation of a foreclosure. Just remember to go into the process with your eyes wide open! View short sale listings in Boise, Meridian, Eagle and Nampa. Got questions about short sales? Or anything else to do with Real Estate in Boise Idaho? Get in touch!